Sidhu says he hugged Bajwa after the Pakistan army chief told him of efforts to open the corridors to Kartarpur Sahib shrine. 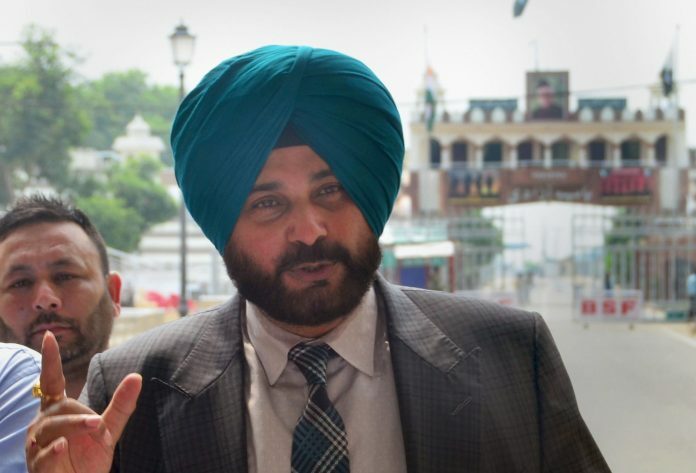 Chandigarh: Punjab Cabinet Minister Navjot Singh Sidhu said Tuesday that his visit to Pakistan was not “political” but just on a “warm invitation from a friend”, in a bid to clarify his decision to visit the neighbouring country and hug its Army chief. Slammed by opposition and earning displeasure even from his own chief minister, the cricketer-turned-politician said he hugged the Pakistan Army chief in an “emotional” moment after General Qamar Javed Bajwa told him that they were making efforts to open the corridor from India’s Dera Baba Nanak to Sikh shrine of Kartarpur Sahib. Sidhu attended the swearing-in ceremony of his friend former Cricketer Imran Khan as the Prime Minister of Pakistan in Islamabad on 18 August. “My brief visit to Pakistan has emerged as a big talking point. In this regard, I would definitely like to clear certain things. The visit to Pakistan was not political in any way but just a warm invitation from a friend (Imran Khan). “That friend, who went through immense hard work and struggle in life. The one, who reached a position, which is respected and holds capability of changing fate of crores of people,” he said in his opening statement during a press conference here. The Congress leader claimed that crores of pilgrims have always been waiting to pay obeisance at holy Kartarpur Sahib, the place where Guru Nanak Devi ji spent nearly 18 years of his life. “Without a thought, this thing said by General Bajwa was an emotional moment for me and the result (the hug) was for everyone to see. After that brief meeting in the gathering, I had no meeting with General Bajwa,” he said. Sidhu said, he, however, is disappointed and hurt over the criticism over this sudden meeting and “emotional reaction”.